The guide provides information about Polish historic newspapers and journals that have been digitized by Polish libraries in recent years. Although the emphasis is on Polish language publications, some German language publications have been included. One of the newspapers digitized by the Jagiellonian Library (Biblioteka Jagiellońska) in Kraków. 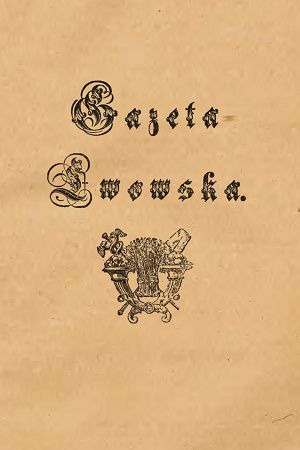 The Library has digitized 235 volumes of Gazeta Lwowska from 1811 to 1939. The paper was published in Lviv (Lwów). In 2002, the significant digitization of library collections began with the creation of the Digital Library of Wielkopolska (Wielkopolska Biblioteka Cyfrowa) in Poznań in 2002. By mid 2016, there were 117 libraries and research institutes participating in various digital projects resulting in the digitization of over two and a half million items, including many historic and rare newspapers and serial publications ((wydawnictwa ciągłe). These are examples of major digital collections of historic newspapers and periodicals. By 2016, the Jagiellonian Library has digitized 1,222 volumes of periodicals, including newspapers from Lviv (Lwów) such as Dziennik Polski (1869-1905), Gazeta Lwowska (1811-1939), Gazeta Narodowa (1863-1915), Słowo Polskie (1895-1934), and from Kraków: Głos Narodu (1893-1927), Nowa Reforma (1882-1928), Nowości Ilustrowane (1904-1925). You can search for a specific title by using the Jagiellonian Digital Library search box (use the URL provided above). You can also do a Google search (put the title in quotation marks). Look for the results that start with Jagiellonian Digital Library, followed by a newspaper title. The digital content is displayed in PDF and occasionally as DjVu. For the latter, use the DjVu-HTML5 access option provided by your browser. It should be noted that some historic newspapers from Galicia have also been digitized by the Austrian National Library (Ősterreichische Nationalbibliothek), including Kurjer Lwowski (1885-1918) and Kurjer Stanisławowski (1900-1912) as well as miscellaneous issues of Kuryer Litewski from Vilnius (Wilno). The Ossolineum Library, in cooperation with Ukrainian libraries, including the Lviv National Vasyl Stefanyk Scientific Library of Ukraine, has been digitizing numerous periodicals from its pre-World War II Lviv (Lwów) collections. The prewar Ossolineum collection of the Polish press was the largest in Poland and consisted of 5,495 titles from 1801 to 1939. The Ossolineum Library has digitized 388 periodical titles, including newspapers and journals from Galicia as well as Polish émigré newspapers such as Gazeta Polska w Berlinie (1892-1895), Gazeta Polska w Brazylii (1893-1895, 1897-1899, 1905, 1906, 1924, 1925), and some Polish American titles, including Gazeta Pittsburgska (1895), Gazeta Wisconsińska (1893-1895), Kurier: organ Polonii w Toledo (1892-1894), Reforma: organ Ligi Polsko-Republikańskiej w Buffalo (later Reforma) (1894-1895, 1898-1901), Gazeta Chicagowska (Dziennik Polski) (1896), Gazeta Robotnicza: organ Związku Robotników Polskich w Stanach Zjednoczonych Ameryki Północnej (1891-1893, 1894-1895), Kurier Nowojorski i Brookliński (Greater New York Courier) (1891-1892, 1898), Naród Polski: pismo tygodniowe dla Polaków w Ameryce (1897-1914), Polak w Ameryce (published in Buffalo, N.Y., 1892-1901), Polonia w Ameryce (1892-1900), Polonia: tygodnik polityczny, naukowy i społeczny (1892-1896, 1903-1905, 1926), Sokół w Ameryce (1912, 1914). The easiest way to access a particular title is by choosing przeglądanie (browsing) from the main page (use the URL provided above), and then rodzaj dokumentu: czasopismo (document type: periodical). You will get a list of digitized periodicals. Click on the title you are interested in and choose the PDF option for downloading. The "Polona" National Digital Library, created by the National Library (Biblioteka Narodowa) in 2006, is one the most significant digital libraries in Poland. The library contains manuscripts and first editions of many renowned Polish authors, including Jan Kochanowski, Mikołaj Rej, Juliusz Słowacki, Stefan Żeromski, Eliza Orzeszkowa, etc. Periodicals account for about sixty-eight percent of the digitized materials, including many historic newspapers and journals such as Robotnik (official publication of the Polish Socialist Party), Kurjer Warszawski, Kurjer Wileński, Gazeta Warszawska, Gazeta handlowa, Izraelita as well as Jidish titles such as Dos Naje Wort, Hajntige Najes, Lubliner Togblat, etc. Full-text keyword searching is available for some titles and search results can be limited to full-text by choosing the dostępne z OCR (OCRed text available) option. There are many historic titles in the collection, including Demokrata Polski (1837-1849), Dziennik Berliński (1897-1929), Dziennik Kijowski (1915-1917), Dziennik Mó​d Paryskich (1840-1848), Dziennik Poznański (1859-1939), Dziennik Wielkopolski (1830-1831), Tygodnik Wielkopolski (1870-1874). There are also some title in German amd English, including a Freemason publication from Leipzig, Freimaurer Zeitung: Manuscript für Brüder (1847-1918), and an agricultural journal from London, The Farmer's Magazine and Monthly Journal of the Agricultural Interest (1853). You can search for a specific title by using the Wielkopolska Library search box. For better results put the title in quotation marks. You can also do a Google search (again use quotation marks). The digital content is displayed in DjVu. Use the DjVu-HTML5 access option provided by your browser. You can search for a specific title by using the University of Warsaw e-Library search box. You can also browse a list of journal and newspaper titles (use the URL provided above). You can also do a Google search; look for the results starting with "Warsaw University Digital Library." The digital content is displayed in DjVu. Use the DjVu-HTML5 access option provided by your browser. Moreover, there are many Polish language journals published in Silesia that are available in the Silesian Digital Library. A lot of titles are available as PDF files and can be downloaded. Many Polish digital libraries are built on the dLibra platform, which was developed by the Poznań Supercomputing and Networking Center. It allows for some uniformity with respect to the interface design and the content display. The digital content is displayed either as PDF or DjVu with older content mostly in DjVu. The Ossolineum Library displays its content using both formats. You can download PDF files from any collection. As far as full-text searchability is concerned, it is rather limited, with the exception of the "Polona" National Digital Library. "Polona" allows for full-text keyword searching of some titles and search results can be limited to full-text by choosing the dostępne z OCR (OCRed text available) option. However, title searches work well within particular collections and some titles are Google-searchable. Most digitized collections can also be accessed via Federation of Digital Libraries (Federacja Bibliotek Cyfrowych) and Europeana portals. Federation of Digital Libraries (Federacja Bibliotek Cyfrowych-FBC) provides access to digital collections of 117 Polish cultural and scientific institutions.  These include historic journals and newspapers digitized by various libraries. FBC allows for searching across collections for specific titles. For example, a title search for Gazeta Lwowska will retrieve digitized issues of the newspaper in digital collections of the Jagiellonian Digital Library and the Wielkopolska Digital Library. However, the display format and full-text searching depend on the standard employed by FBC member libraries for digitizing their collections. FBC provides the same type of access as originally created by its member libraries. FBC allows for searching for a specific type of publication. Choose the advanced search option. From the "all fields" search box choose "resource type." In the other search box type the Polish name of publication format you are looking for (you will get more results by typing the format name in Polish rather than in English). For example, czasopismo (periodical), gazeta (newspaper), dziennik (daily), tygodnik (weekly), miesięcznik (monthly), kwartalnik (quarterly), rocznik (annual), etc. You can also combine terms using OR (czasopismo OR gazeta). FBC is the largest Polish data provider in Europeana (also known as Europeana Collections). There are currently over one and a half million objects from Polish digital collections available through Europeana, including Polish historic periodicals. The presence of Polish digital content in Europeana collections should not be underestimated as many international users may be more familiar with Europeana than with Polish digital portals. Krzysztof Frankowicz, “Selekcja czasopism do skanowania i publikacji w JBC [The Selection of Periodicals for Scanning and Ingesting in JBC],” in Uniwersytet Jagielloński-Biblioteka Jagiellońska Jagiellońska Biblioteka Cyfrowa, edited by Krystyna Sanetra, (Kraków, Poland: Biblioteka Jagiellońska, 2013), 58–65.